Mnemonics are not particularly useful for remembering information heard in the course of conversation, remembering an action performed, remembering to do something. Teaching yourself to repeat information is probably a more useful skill. Aids to memory such as acronyms, rhymes, linking information by creating visual images or making up a story, are called mnemonics. 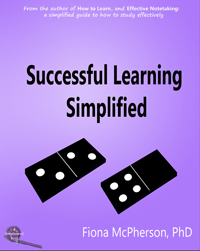 Most popular memory courses teach mnemonic strategies. It is however only one type of memory strategy. 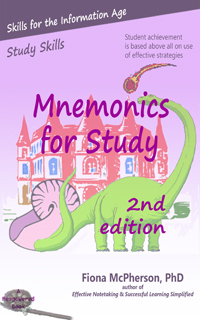 Mnemonics are however particularly appropriate for remembering names and dates. 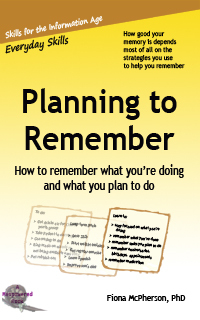 In a survey of over 100 elderly adults, learning and remembering people's names, and learning and remembering dates, were the two memory skills they most wanted to improve (Leirer Morrow Sheikh & Pariante 1990). 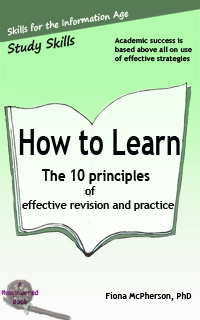 However, although mnemonics can be very effective, they do require a great deal of effort to master. In this page I report on research into the usefulness of various mnemonic strategies for older adults. 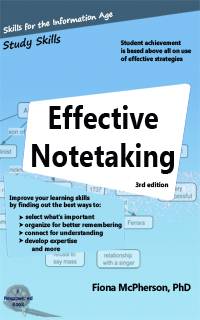 The pegword mnemonic is a strategy for learning lists. You memorize a list that converts numbers into visual images (one is a bun, two is a shoe, etc), and then use those images as pegs for the items you wish to remember. Thus, to remember a shopping list you imagine each item in turn with these images: an apple in a bun; a shoe full of beans; etc. While the pegword strategy is effective, it does require a lot of training to be used successfully, and doesn't appear to be a good strategy for older adults. Four studies have found no lasting improvement in memory when middle-aged or elderly subjects have been instructed in the pegword technique (Smith 1975a, Mason & Smith 1977, Hellebusch 1976, Wood & Pratt 1987). The method of loci (places) is the classic mnemonic, first invented by the ancient Greeks, and is considerably easier to learn than the pegword technique. Using a place you know very very well - perhaps a familiar route, your house, or a particular room in it - you mentally visualize the items you want to remember in particular places. 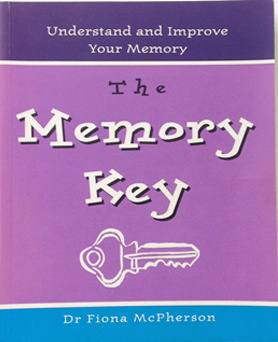 This technique has had somewhat more success in improving memory in older adults, although not to the extent seen in younger adults taught the strategy. This may be due to older adults' slower rate of processing information. Older adults who are already experienced in using imagery are likely to find the technique more useful. Robertson-Tchabo, Hausman, & Arenberg (1976) found elderly subjects successfully used the method, but only when explicitly instructed to do so. Anschutz, Camp, Markley & Kramer (1985; 1987) found elderly subjects could be trained to use the method to remember shopping list items, but tended not to use it when asked to learn new lists several weeks later, and many reported not using the strategy when interviewed several years later. Rose & Yesavage (1983); Kliegl, Smith & Baltes (1989) found the improved memory performance seen in elderly subjects was less than that found for similarly trained young adults. The reduced benefit of the method to older adults may be due to their slower rate of processing information. Lindenberger, Kliegl & Baltes (1992) found that elderly adults who were experienced in using imagery (graphic designers) performed better than other elderly adults, although still not to the level of young adults. One of the most effective mnemonic strategies is the keyword method. This is particularly effective for learning new words. 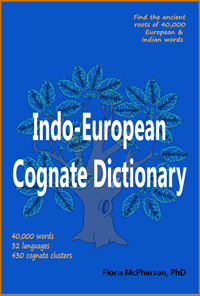 Gruneberg & Pascoe (1996) had success in teaching a group of older women Spanish words using the keyword method of foreign language learning. Perhaps the most widely used mnemonic is the face-name association method. This strategy involves choosing something distinctive about the face, finding a word or phrase (the "keyword") that is similar to the name, and creating a visual image that links the distinctive feature with the keyword. Yesavage & Rose (1984a) found older adults significantly improved their memory of names using this method, although the improvement was limited (they still only remembered 24% of names - but this was double what they remembered prior to training). Long-lasting memory improvement is hampered by the difficulty older adults have in changing their habits - that is, they rarely use a new method without explicit instructions to do so. The effectiveness of the method of loci and keyword method can apparently be increased by having the participants make affectiveness judgments (such as judging the degree of pleasantness) of each image they generate. This appears not only to increase the degree of improvement, but also the durability of the images (how long they are remembered for) (Yesavage & Rose 1984b (method of loci); Yesavage, Rose & Bower 1983 (face-name assoc)). It does appear that age affects mnemonic training, in that it becomes less effective the older you are, especially with the more complex method of loci vs the simpler keyword methods (Yesavage, Sheikh, Friedman & Tanke 1990). This is not to say older adults cannot learn these techniques, merely that that older adults need extensive and intensive training to really benefit (Neely & Backman 1993a,b; Stigsdotter & Backman 1989). Older adults can learn effectively by teaching themselves, but such instruction needs to be supplemented by periodic group discussions (Flynn & Storandt 1990). Verbal mnemonics may be more useful for older adults who find imagery effortful. Hill, Storandt & Simeone (1990) found that a take-home manual on the use of organization in aiding memory resulted in substantial improvement. The story method has also been found to be of benefit (Hill, Allen & McWhorter, 1991), although its effectiveness depends on the person's ability to construct a narrative (Drevenstedt & Belleza 1993). The most problematic memory tasks for older adults however are probably those which involve information experienced only once, incidentally – something heard in the course of conversation, remembering an action performed, remembering to do something. Training in the benefits of repetition is probably of more benefit than mnemonic training, for these instances. Anschutz, L., Camp, C.J., Markley R.P. & Kramer J.J. 1985. Maintenance and generalization of mnemonics for grocery shopping by older adults. Experimental Aging Research, 11, 157-60. — 1987: A three-year follow-up on the effects of mnemonics training in elderly adults. Experimental Aging Research, 13, 141-3. Drevenstedt, J. & Belleza, F.S. 1993. 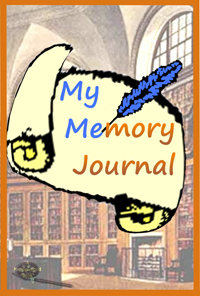 Memory for self-generated narration in the elderly. Psychology and Aging, 8, 187-96. Flynn, T.M. & Storandt, M. 1990. Supplemental group discussions in memory training for older adults. Psychology and Aging, 5, 178-81. Gruneberg,M.M. & Pascoe, K. 1996. The Effectiveness of the Keyword Method for Receptive and Productive Foreign Vocabulary Learning in the Elderly. Contemporary Educational Psychology, 21, 102-9. Hellebusch, S.J. 1976. On improving learning and memory in the aged: The effects of mnemonic strategy, transfer, and generalization. Dissertation Abstracta International, 1459-B (University Microfilms No. 76-19, 496). Hill, R.D., Allen, C. & McWhorter, P. 1991. Stories as a mnemonic aid for older learners. Psychology and Aging, 6, 484-6. Hill, R.D., Storandt, M. & Simeone, D. 1990. The effects of memory skills training and incentives on free recall in older learners. The Journals of Gerontology: Psychological Sciences, 45, P227-232. Kliegl, R., Smith, J. & Baltes, P.B. 1989. Testing-the-limits and the study of adult age differences in cognitive plasticity of a mnemonic skill. Developmental Psychology, 25, 247-56. Leirer, V.O., Morrow, D.G., Sheikh, J.I. & Pariante, G. 1990: Memory skills elders want to improve. Experimental Aging Research, 17, 155-8. Lindenberger, U., Kliegl, R. & Baltes, P.B. 1992. Professional expertise does not eliminate age differences in imagery-based memory performance during adulthood. Psychology and Aging, 7, 585-93. Mason, S.E. & Smith, A.D. 1977. Imagery in the aged. Experimental Aging Research, 3, 17-32. Neely, A.S. & Backman, L. 1993a. Maintenance of gains following multifactorial and unifactorial memory training in late adulthood. Educational Gerontology, 19, 105-17. — b. Long-term maintenance of gains from memory training in older adults: Two 3 ½ year follow-up studies. The Journal of Gerontology: Psychological Sciences, 48, P223-37. Robertson-Tchabo, E.A., Hausman, C.P. & Arenberg, D. 1976 . 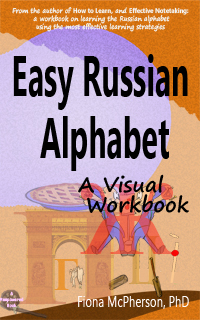 A classical mnemonic for older learners: A trip that works. Educational Gerontology, 1, 215-26. Rose, T.L. & Yesavage, J.A. 1983. Differential effects of a list-learning mnemonic in three age groups. Gerontology, 29, 293-8. Smith, A.D. 1975. Partial learning and recognition memory in the aged. International Journal of Aging and Human Development, 6, 359-65. Stigsdotter, A. & Backman, L. 1989. Multifactorial memory training with older adults: How to foster maintenance of improved performance. Gerontology, 35, 260-7. Wood, I.E. & Pratt, J.D. 1987. Pegword mnemonic as an aid to memory in the elderly: A comparison of four age groups. Educational Gerontology, 13, 325-339. Yesavage, J.A. & Rose, T.L. 1984a. The effects of a face-name mnemonic in young, middle-aged, and elderly adults. Experimental Aging Research, 10, 55-57. Yesavage, J.A. & Rose, T.L. 1984b. Semantic elaboration and the method of loci: A new trip for older learners. Experimental Aging Research, 10, 155-59. Yesavage, J.A., Rose, T.L. & Bower, G.H. 1983. Interactive imagery and affective judgments improve face-name learning in the elderly. Journal of Gerontology, 38, 197-203. Yesavage, J.A., Rose, T.L. & Spiegel, D. 1982. Relaxation training and memory improvement in elderly normals: Correlation of anxiety ratings and recall improvement. Experimental Aging Research, 8, 195-8. Yesavage, J.A., Sheikh, J.I., Friedman, L. & Tanke, E. 1990. Learning mnemonics: Roles of aging and subtle cognitive impairment. Psychology and Aging, 5, 133-7.